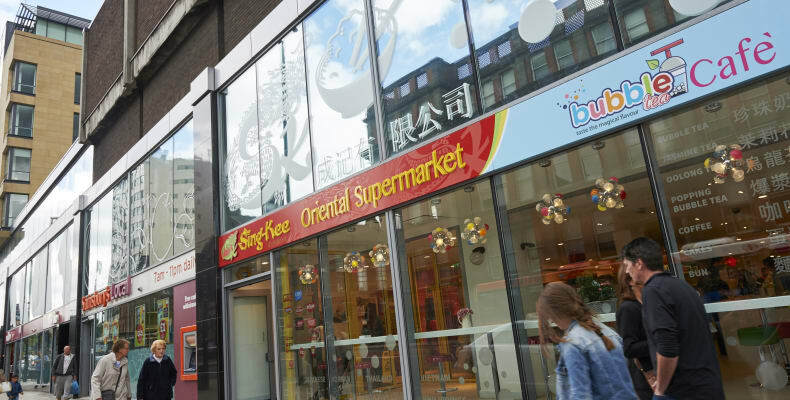 When Customers step through the doors of Sing Kee grocery store at the Merrion Centre, they are transported to the Far East, with lion statues at the entrance, lanterns hanging from the ceiling and shelve’s filled with an array of oriental foods. 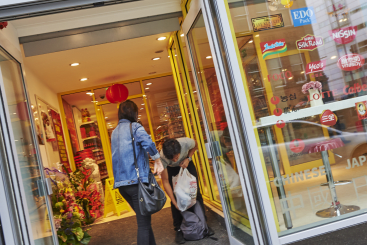 Offering fresh and frozen food as well as a bubble tea café at the front of the store. Sing Kee pride themselves on their helpful approach and guidance to customers who are keen to try new ingredients and recipes but don’t know where to start. Sing Kee, a family-run business began in 1987. Having been in the business for so many years Sing Kee are experts in the oriental trade. From wholesalers buying in bulk, catering, stocking their restaurants or families purchasing their weekly groceries Sing Kee caters for all.